A brazilian black belt under Ralph Gracie, Kurt Osiander is a well known and respected figure within the Brazilian Jiu Jitsu community. His face is well known among the online BJJ community too with his youtube series ‘Move of the week’ and his outspoken and direct personality that comes through in his videos. Born in 1966 in the San Francisco bay area, Kurt became friends with Cesar Gracie at a young age. After they both finished high school, Cesar joined the marines and not long after training he moved to Brazil to learn the sport of his family: Jiu Jitsu. This was before the advent of the UFC and so Kurt was wholly unfamiliar with Jiu Jitsu at the time. This would all change later of course. Cesar went to Brazil and after many years training he returned to the United States in the early 90’s. He returned to the San Francisco area around 1992 and met back up with his old friend Kurt. It was at this time that Cesar was opening a gym called ‘Gracie Jiu Jitsu’ and this intrigued Kurt who then asked for a Jiu Jitsu demonstration from Cesar. Cesar decided to show him the ‘rear-naked choke’ or ‘Mata Leao’ (Lion Killer). Kurt was so impressed with the power of this submission and how Cesar managed to apply it so quickly that he decided to train at Cesar’s new academy. During this time period, Ralph Gracie moved to the United States to team up with his cousin Cesar and become a head coach at this new Jiu Jitsu gym. Kurt started learning under Ralph and has been with this coach ever since. Known as ‘The Rhino’ in the gym, Kurt models his Jiu Jitsu approach on his coaches one. Kurt has competed a lot in his grappling career and he started early on in his white belt days. Perhaps not naturally talented, Kurt put all his effort into improving his Jiu Jitsu and went from training a few times a week to training everyday, multiple sessions per day. This intense work helped him to improve drastically and he received his well-earned black belt in 2003 at the age of thirty seven. His loyalty to his coach and his dedication to Jiu Jitsu resulted in him being offered a coaching role at Ralph Gracie’s academy and it is a role that Kurt embraced honorably and with all of his dedication. He is still a coach at the academy today and has helped in training many BJJ champions. 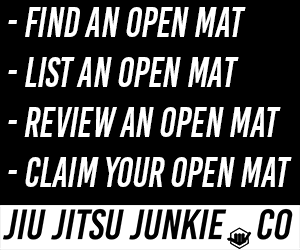 Besides his coaching he is also very popular due to his BJJ channel on youtube, which features the very popular ‘Move of the Week’ series which many many beginner and advanced Jiu Jitsu students have learnt a thing or two from and no doubt applied it to their game.